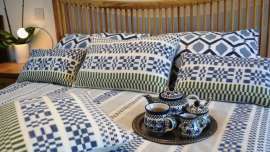 ‘Dukagang’ is the original design that started this project – to produce a collection of textiles for throws and cushions designed and handwoven by me using the same basic threading pattern. Each pattern in the collection draws inspiration from heritage textiles and archetypal motifs found across the world. 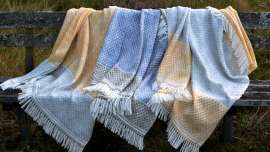 The fact that they could all be woven on one threading meant that I could weave many different designs on one warp. 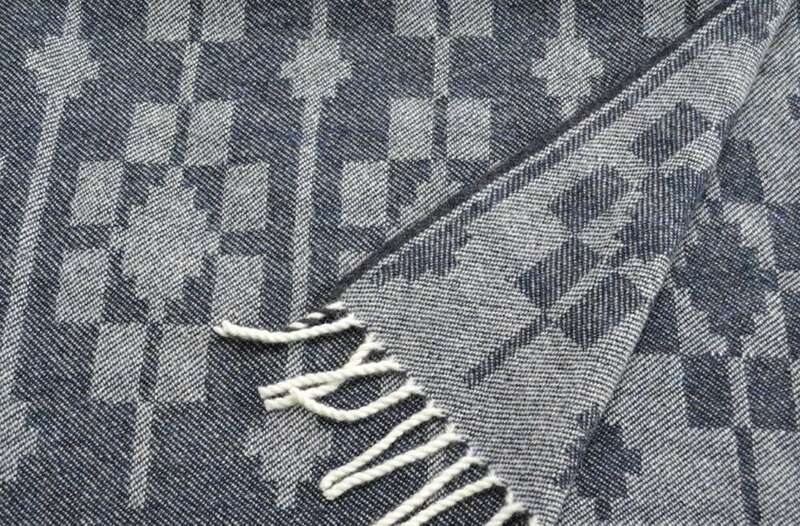 The name Dukagang refers to a traditional Scandinavian weave structure. It can be seen in many of their very distinctive antique household textiles. 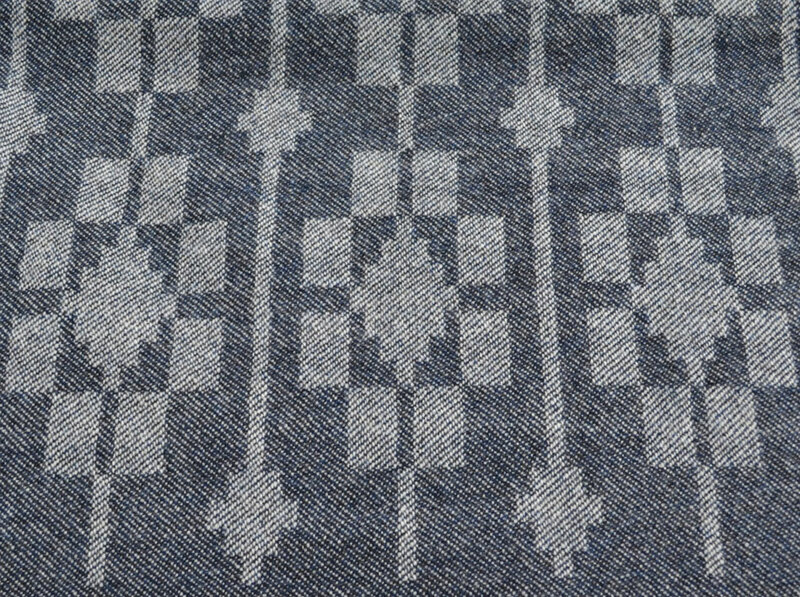 Dukagang weave produces a strong pattern that looks like embroidery and which has the opposite colourway on the reverse side. 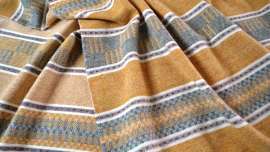 Most importantly, dukagang weave is composed of a strong ground cloth with lots of short contrasting coloured floating threads that form the pattern. This combination produces a very absorbent cloth that is wonderful for kitchen textiles like tea towels. The motif in this design was inspired by the kind of traditional motifs found in antique Scandinavian linens woven in this structure. 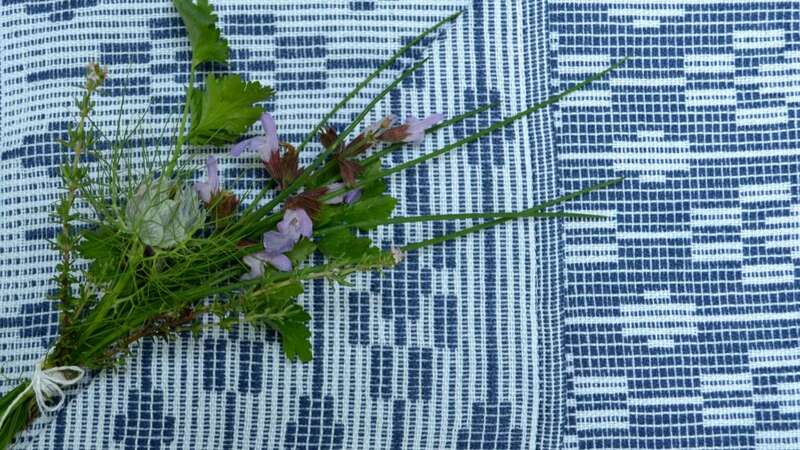 I developed the design for an earlier collection of table linen and kitchen textiles, woven in Dukagang weave structure in a traditional combination of cotton and linen. I love this pattern and so when I started this project I adapted the same block design so that it could be woven as a damask weave. The damask weave is 3-shaft reversing twill which also gives the opposite colourway on the reverse side. 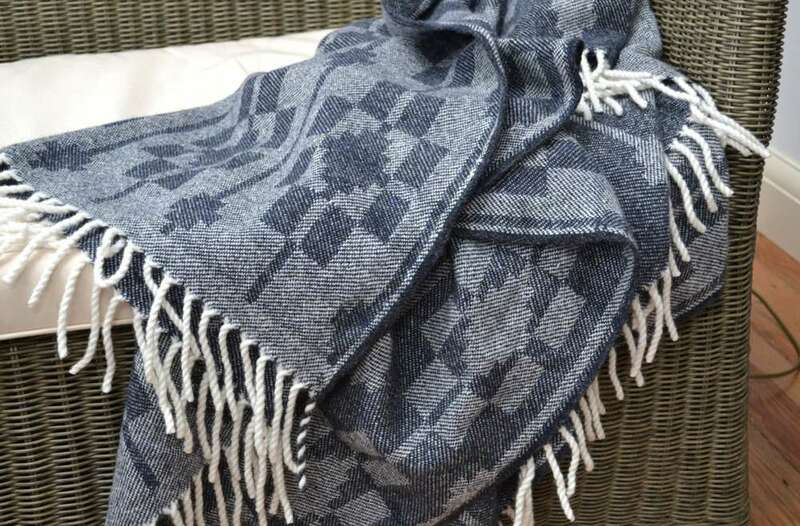 But as it is a twill weave it has a wonderfully soft drape which is much more suitable for my warm, cosy and cuddly lambswool throws.